The Jeep Renegade is a small, boxy crossover, designed to compete in the B-segment marketplace. It’s very closely related to the Fiat 500X, but it provides a more purposeful, utilitarian feel than many of its rivals, given the Jeep brand’s heritage – so the interior features touches like fake mud splashes on the rev counter for the redline, an image of a Jeep crawling up a rockface and other outdoorsy-type details. The Renegade has been on sale since 2014 with largely the same array of turbocharged engines – there’s a 1.4-litre, MultiAir turbocharged petrol unit, with either 140- or 170hp, and then two diesel options, these being a 1.6-litre motor with 120hp or a 170hp 2.0-litre. All engines available throughout the model’s life have four cylinders and there’s a choice of two transmissions, which are a six-speed manual or a nine-speed automatic, and either front- or four-wheel drive. Jeep has always sold its cars with trim names that evoke thoughts of adventure and the wild, so the Renegade has specifications that include Sport, Latitude, Limited and Trailhawk. Finding a good high-power Renegade on the used market might seem tempting, but in reality, the 1.6-litre turbodiesel is all the engine the Jeep crossover needs for on-road purposes. The best drivetrain combination for frugal running costs will be this engine with the manual transmission and front-wheel drive. 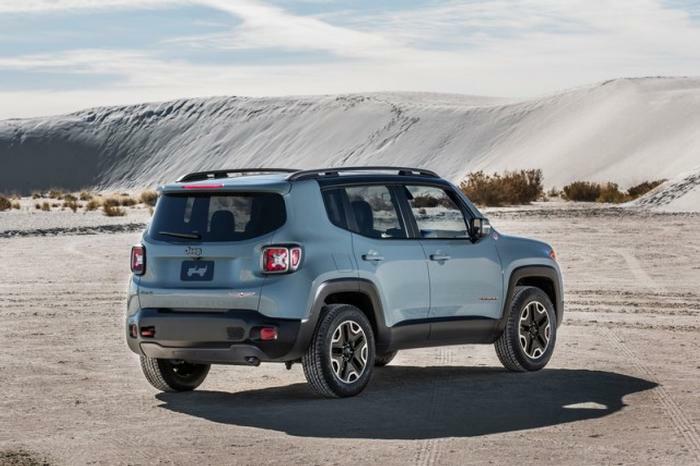 Rather than one of the traditional, smoothed-off B-segment crossover rivals, Jeep aimed to offer something square-edged and with an appeal all of its own when it launched the Renegade. To an extent, it worked, as sales have been decent, but while the Renegade makes a good used purchase, there are better vehicles available in this segment that might tempt second-hand buyers elsewhere.